This could lead to a lot of brain freeze. If you are lucky enough to visit a branch of McDonald’s boasting a fully functional McFlurry machine, then loaded has the life hack for you. 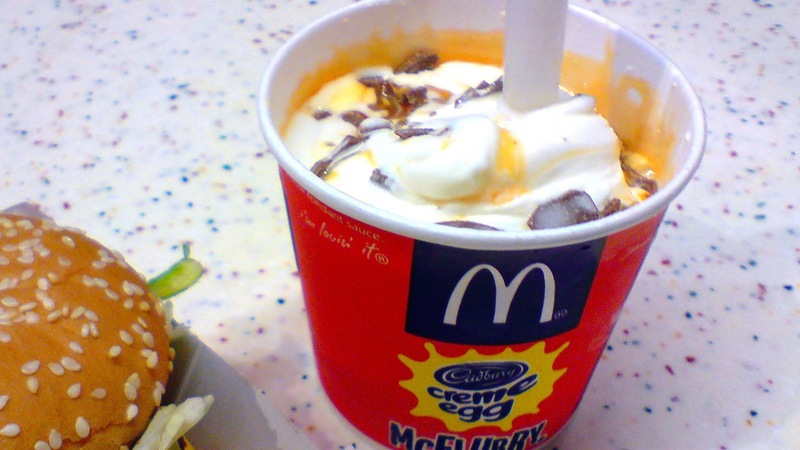 The McFlurry is a special treat, best saved for special occasions like birthdays, holidays, or after pretty much any and all McDonald’s meals. And if you happen to have access to one of these ice cream factories of joy, then it could come in pretty handy to know there’s a really easy way to pimp up your McFlurry. As several fans have discussed on Twitter, McDonald’s customers can actually ask for additional toppings at the reasonable price of just 20p per selection. It’s not a lot of money to pay, but it makes for a wealth of possibilities. You could have a Crunchie McFlurry, topped up with a bit of Dairy Milk for safe measure. Heck, you could add Smarties on top of that too. Why stop there? Chuck in a few Oreos! Okay, now we feel sick. Though this might not seem like the mother of all hacks when it comes to McDonald’s, it could be a game-changer for ice cream fans and waistlines the world over. Just imagine the pimped out possibilities and crazy ice cream creations that could be on the cards. Just found out you can get extra shots of chocolate in a McFlurry for 20p extraaa?? The Metro is eager to offer up one warning though: these 20p topping boosts are only available in certain McDonald’s stores i.e. good ones. “We offer guidance around pricing, but ultimately our franchisees decide on those which are set based on a number of factor,” a spokesperson told the news provider. There are plenty of other awesome food hacks available on the McDonald’s menu, whether you fancy the fabled Land, Air and Sea Burger or just the freshest fries available on the day. And if you ever wanted see something that would put you off McFlurries forever, have a look at this.